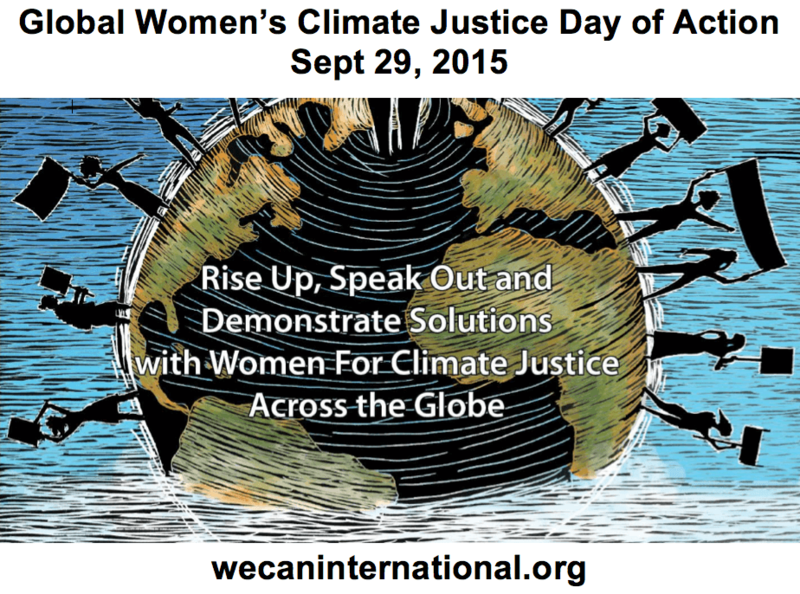 Today is the Global Women’s Climate Justice Day of Action. Here at Climate Interactive, we are celebrating the day by honoring just a few of the many women around the world who are actively bringing Multisolving to their communities – reducing carbon emissions while improving energy access, mobility, jobs, health, safety, and access to food and water in their localities. Two Indigenous Solar Engineers Changed Their Village in Chile – Two women from a small village in the Atacama Desert traveled to the Barefoot College in India to be trained in solar power installation and maintenance. They brought back electricity to their village, for the first time ever, and raised the level of respect for the women of the village with their fearlessness, tenacity, and technical skills. Maasai women are the new solar warriors of Africa – Rather than cutting down trees or burning kerosene for fuel, women’s groups in Africa purchase solar installations from Green Energy Africa and sell them in their villages. For Maasai woman Jackline Naiputa, who heads one of these groups, solar energy means protecting her livestock from wild animals at night and allowing her son to sleep in the family home rather than outside to keep an eye on the livestock. It also means a boost in the status of women in the community, who according to custom are not allowed to own property – but now have increased their leverage from managing a solar business in high demand. Ghana Bamboo Bikes Initiative – This woman-led initiative trains women in building bamboo bikes, creating 55 jobs in three communities in rural Ghana. The bicycle supply chain encourages the planting and harvesting of bamboo, whose roots reduce soil erosion and whose growth improves air and water quality. Bamboo bikes require less energy and hazardous chemicals to build than steel ones, and these bikes are bringing mobility to poorer Ghanaians while reducing dependence on fossil fuels. Women Farmers in Guatemala Engaging in Agro-Forestry – A group of women farmers in Itzapa, Guatemala, partnered with the Alianza Internacional de Reforestación for two purposes: to learn how to farm with trees, and to build fuel-efficient stoves. Planting trees in conjunction with farming decreased soil erosion, improved food crop yields, prevented mudslides, provided shade, and cleaned the water and air. The new stoves, in turn, reduced the need to cut down trees for firewood and kept cooking smoke from polluting the air and residents’ lungs. The women have also created businesses to invest in a tree nursery that they manage. Since the start of the initiative, 150,000 carbon-sequestering trees have been planted in Itzapa. This post is part of a series on examples of ​multisolving​, or climate-smart policies that simultaneously work to mitigate climate change while providing co-benefits such as the ones described above.